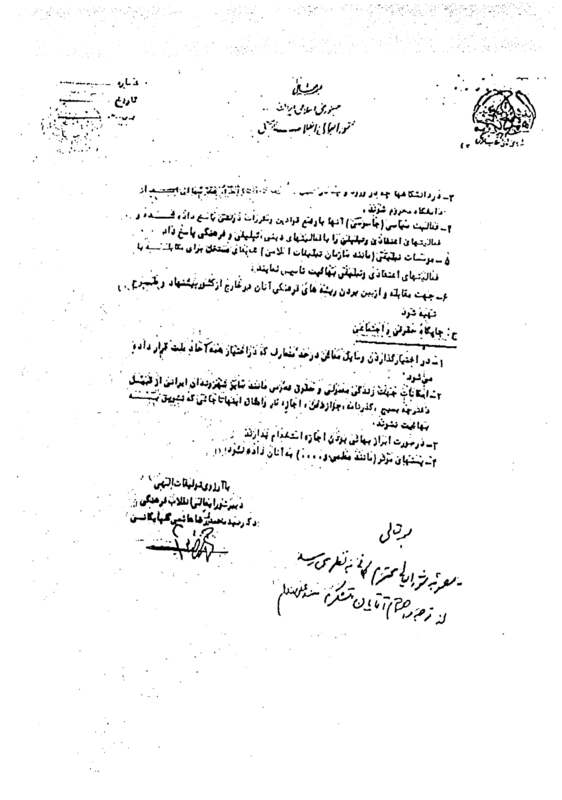 This confidential document was discovered by the United Nations Special Rapporteur in his trip to Iran in 1991. It outlines the official policy toward the Bahá’ís in Iran aiming to block their progress and development. 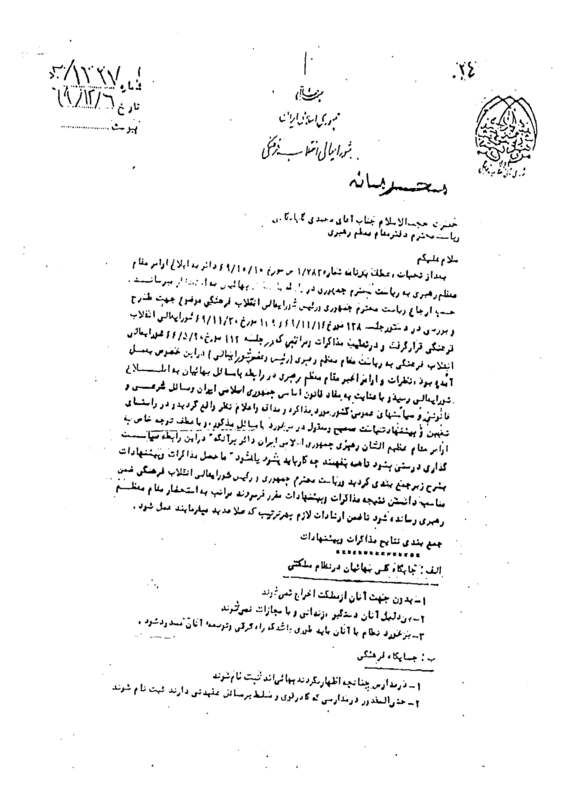 The document specifies, in three subsections over 13 operating paragraphs, the general policy toward Bahá’ís including their cultural and social status in the Islamic regime. The document goes so far as to order uprooting the cultural origins of the Bahá’ís out of the country.